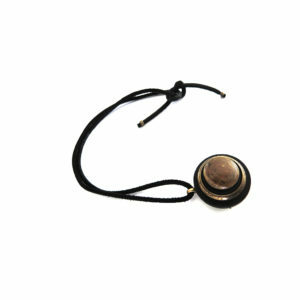 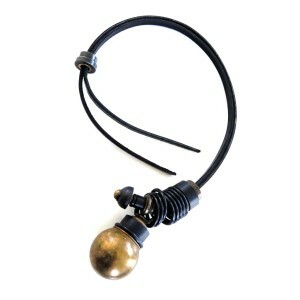 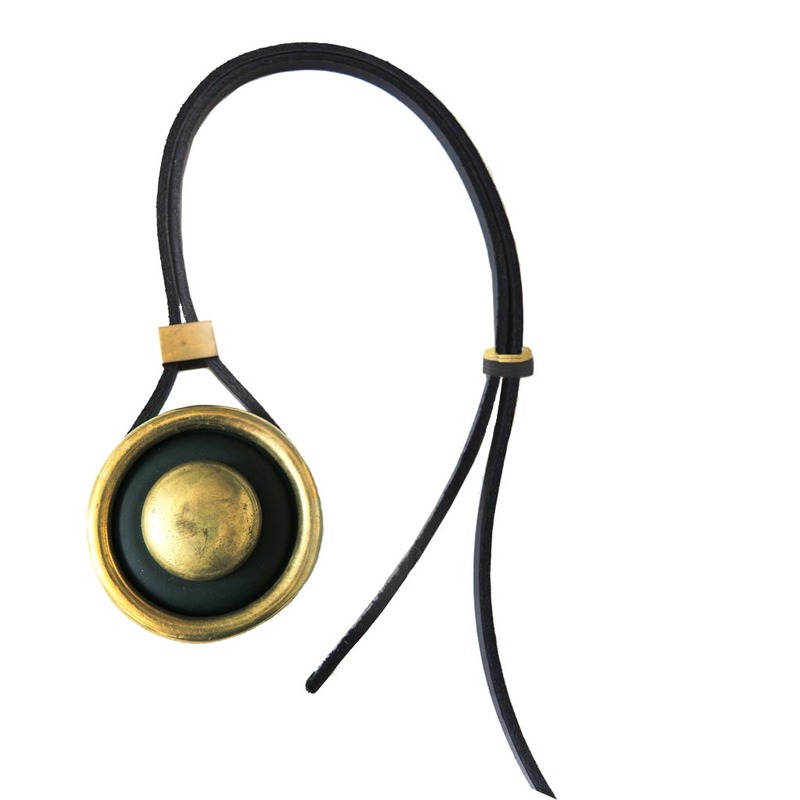 Handmade necklace of leather, found vintage bronze and rubber. 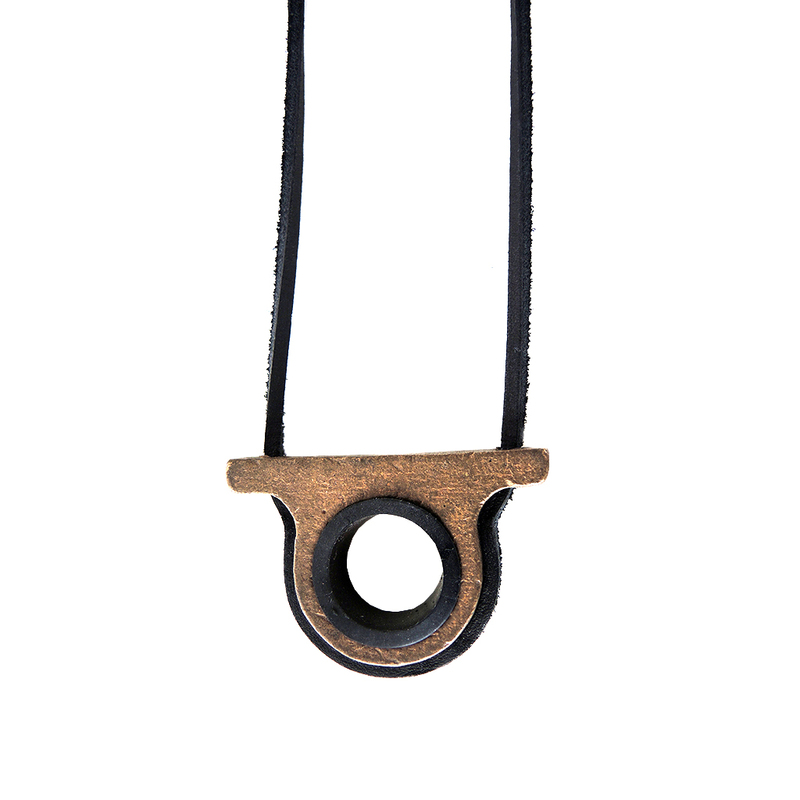 Adjustable to 24″. Edition of 4.